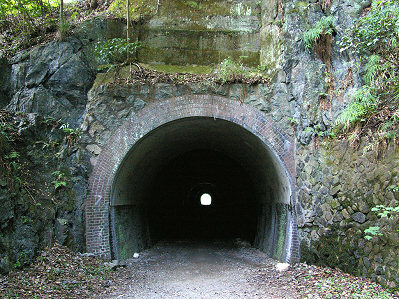 The 7th tunnel from Namaze is 147m in full length in the Second Nagaoyama tunnel. The other side can be seen for the straight line. The garden of a cherry tree is between the the Second Nagaoyama tunnel, and the Third Nagaoyama tunnel, and it has become a park. A photograph is the Namaze side.